People say that you need to talk to your plants to help them grow beautiful. But who has time to talk to plants? The Moqueurs plant holder will keep them gook company. 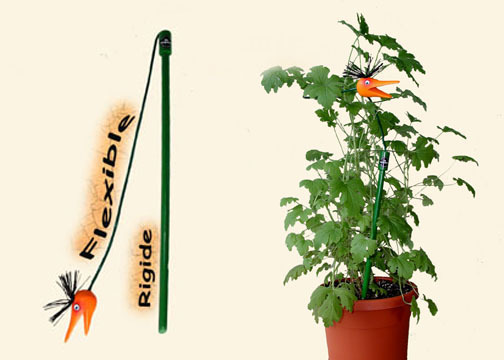 Use our plant holders to support the heavy stems of a big plant. It will look more elegant, with a touch of colour.